In the spirit of giving this holidays, Chan + Hori Contemporary announces an inaugural Year-End Charity Art Sale. All artists we have worked with in 2018 were invited to create a new identically-sized, postcard-scale artwork on paper. Between 1 – 21 December, selected artworks will be released for sale every day via Instagram. All unique works are signed, framed and have the same price: $250 (excluding GST). When unveiled, the artworks will not be attributed to their artists – to maintain an element of mystery for our collectors. The proceeds from each artwork will be donated to the artists’ charities of choice, some of which include Doctors without Borders, Rainbow Centre Singapore and Animal Lovers League. 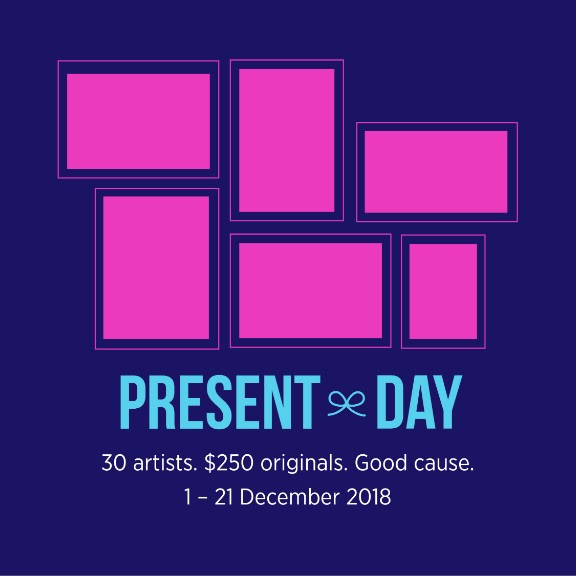 All participating artists are Latiff Mohidin, Kamin Lertchaiprasert, Chris Chong Chan Fui, Ruben Pang, Lugas Syllabus, Sharon Chin, Richard Streitmatter-Tran, Le Brothers, Mojoko, Belinda Fox, Dusadee Huntrakul, anGie seah, Si Jae Byun, Ezzam Rahman, Gerald Leow, Muhammad Izdi, Dyn, Orkibal, Speak Cryptic, Simon Ng, Loi Cai Xiang, Shahrul Jamili Miskon, Danielle Tay, Bradley Foisset, Ivan David Ng, Esmond Loh, Jay Ho, Eugene Soh and Gerald Tay.